December 2016 saw this stage of the project coming to an end with an exhibition at Newcastle City Library. 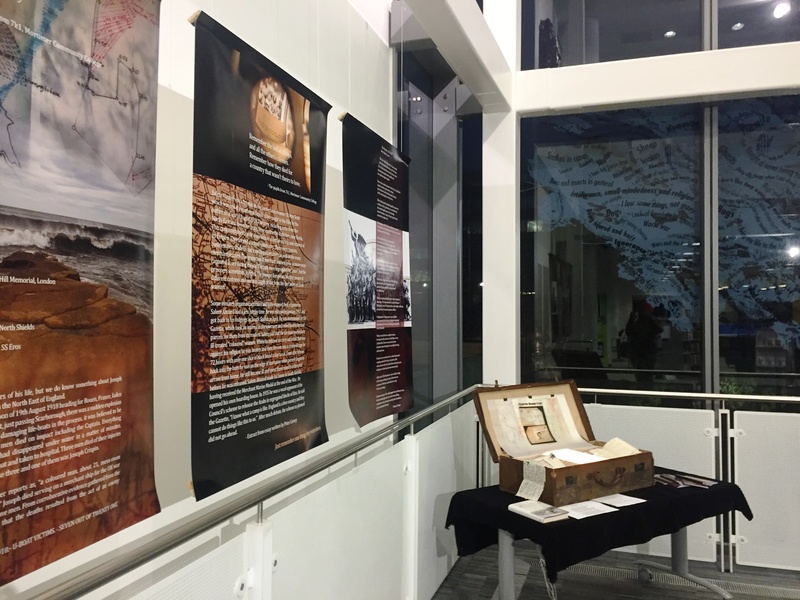 This was an opportunity to showcase a selection of our findings as well as to offer up our interactive suitcase, created by identity on tyne members, for further poetry creations. On the evening of the opening of the exhibition, there was a presentation as well as readings from Wajid Hussain and Catherine Graham. The exhibition plans to tour the region during 2017 and 2018. If you are a venue interested in hosting this also, please get in touch via our contact page. Thank you.